Publisher: Geoffrey Nevine October 19, 2017 This information is provided solely as a guideline. These leaves are pungent and have a sharp, bitter flavor. Their taste and fragrance are somewhat similar to the cinnamon bark but slightly milder. They are used in fresh, dried or powdered form. The oil extracted from bay leaves, called bay leaf oil has medicinal properties and is used to treat several ailments. Due to their bitter taste, bay leaves cannot be eaten directly but are often used to impart flavor to a variety of dishes, both vegetarian and non-vegetarian. 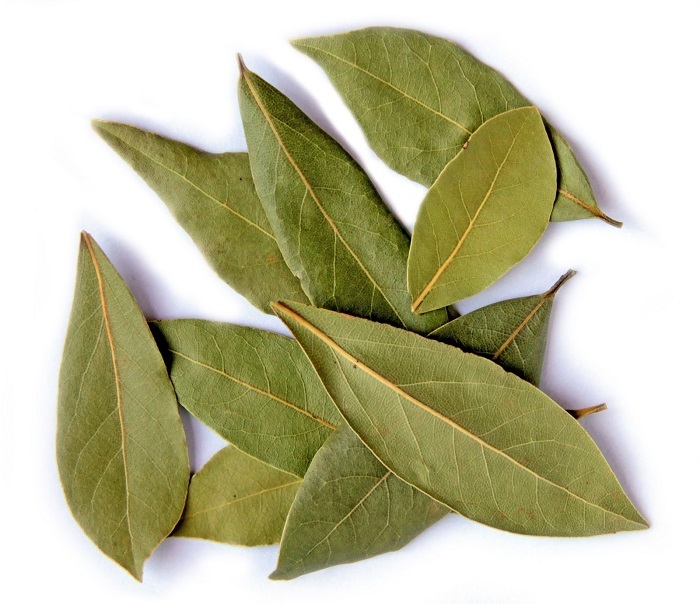 Bay leaf is extensively used in Indian, Nepalese and Bhutanese cuisines. It is an important spice in Moghulai dishes, particularly biryani and korma. Roasted and ground bay leaves are added to the Indian mixture of spices called “Garam Masala”. Myrcene, which is a component of essential oils extracted from bay leaves, is used in perfumery. They also have the property of repelling flies, moths, mice etc. Apart from their culinary uses, they have medicinal properties and are known for their anti-bacterial, anti-fungal, anti-inflammatory, diuretic and astringent qualities. The various benefits of bay leaf can be attributed to its rich nutritional value. These leaves are exceptionally rich in vitamins as well as copper, potassium, calcium, magnesium, zinc, iron, selenium and manganese. They also contain essential phytochemicals and volatile oils. Consuming bay leaves at bedtime helps to induce proper sleep. For this purpose, mix a few drops of the bay leaf extract with water and consume it. In case of nosebleed, crush 2 to 3 fresh or dry bay leaves. Boil them in 200 ml water till 100 ml remains. Strain and drink this concoction for relief. Clean Teeth. To get sparkling white teeth, brush them with powdered bay leaves once in 3 days.